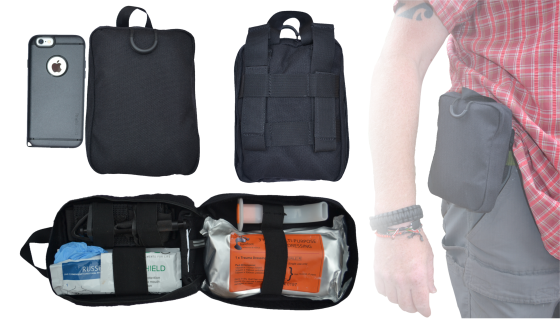 The Individual Immediate Trauma Pack has been designed as the essential trauma pack for anyone working in remote, hostile or challenging environments. Compact and lightweight, the IITP can be attached onto a belt, onto the side of a rucksack or onto body armour. A velcro release enables rapid access. The IITP contains what you require to immediately treat a trauma patient as an immediate response to a medical incident. Note: additional items can be provided to be included in the pack dependant on your requirements.